When the temperatures drop and the snow starts to fly, a lot of runners head indoors and hit the treadmill or even hang up the running shoes altogether and call it the off season. 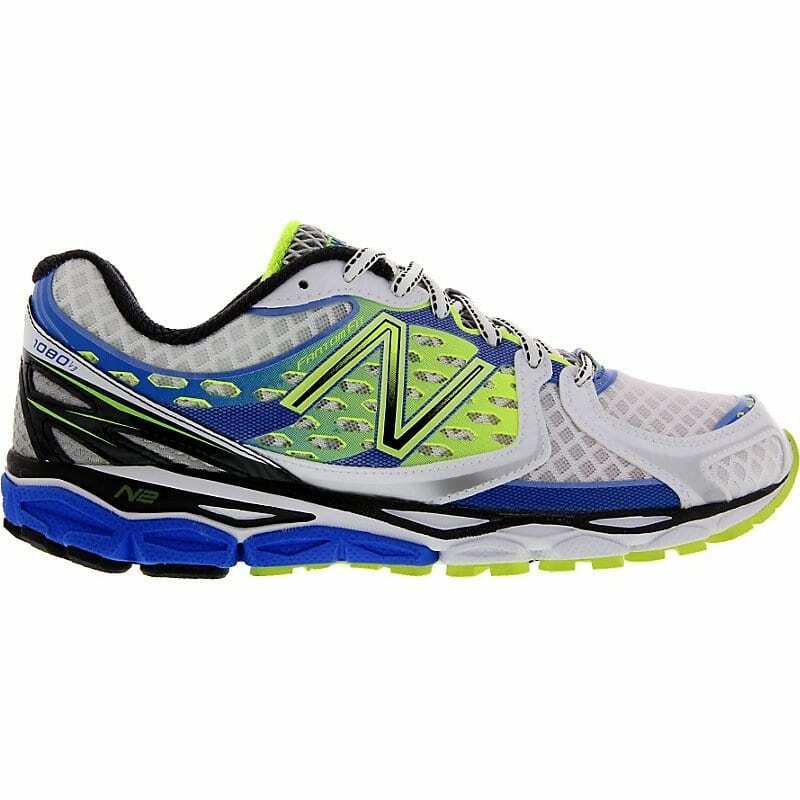 For those that want to keep running outdoors, there are some great shoe options out there, that will keep you protected and upright. After testing many pairs of shoes, we have come up with four options that have performed the best in test and are sure to help get you through the wet, cold, snowy, and icy months of Winter. The Inov-8 Arctic Talon 275 Trail Running Shoes excel on icy trails, thanks to the built in tungsten carbide spikes. The Talon is designed to run fast over any snowy, icy and frozen ground due to carefully positioned spikes that ensure maximum grip when running, no matter what part of the foot strikes the ground. 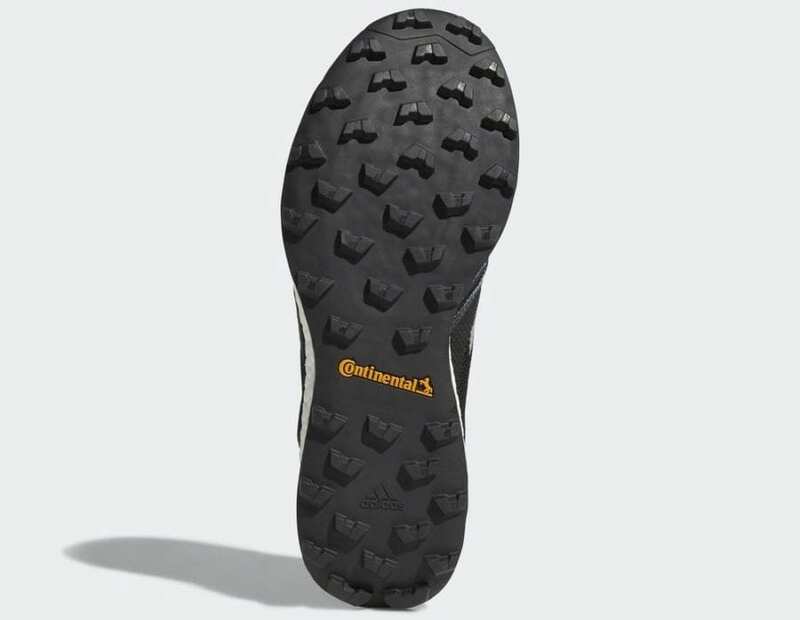 The low 4mm drop and Protec shank delivers underfoot protection while providing good ground contact, which is important in maintaining the run feel in irregular and slick terrain. 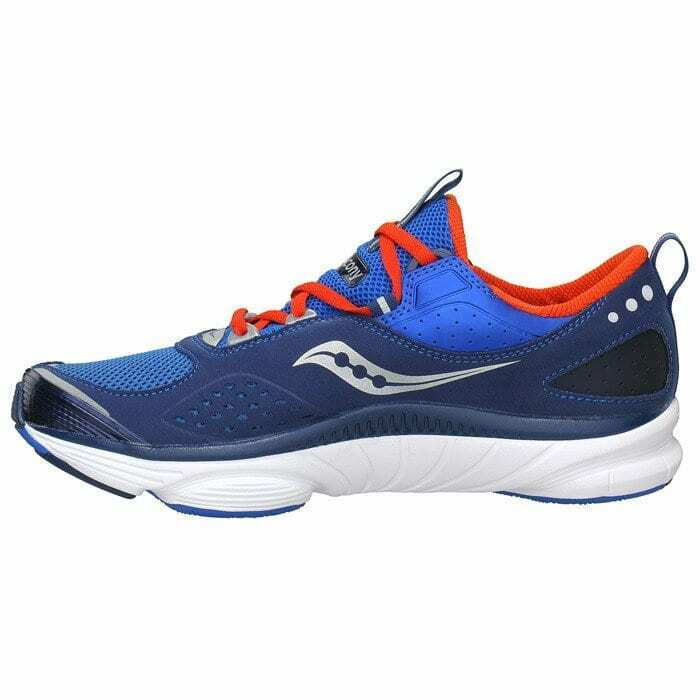 The Talon does have a close fit that encourages minimal internal foot movement, which means that this shoe is ideal for the more narrow footed runners. With its lightweight and outstanding grip, the Talon is a optimal choice for Winter runners who want to leave the crampons at home but still tackle the frozen trails. When the roads and trails you prefer to run are fast and smooth, but quickly ice over in the Winter, this is where the Saucony Peregrine 8 ICE+ Running Shoe comes in to keep you going. The Peregrine 8 ICE+ features Vibram’s Artic Grip® outsole that turns Winter weather from an excuse to an opportunity. The proprietary outsole of this ice and trail running shoe utilizes Wet Ice Tech that allows you to keep pushing the pace without slipping. With it’s lightweight, water-resistant Run-Shield coverage, and comfortable fit the Peregrine 8 ICE+ is well equipped to handle slick roads and front country loops. It features a flexible upper that delivers a killer fit that avoids blisters, hotspots, and discomfort. This shoe has the best of both worlds: the grip and the comfort that Winter runners want to take the first steps out onto those slick surfaces. Snow snd slush don’t stand a chance when you come tearing down the trail wearing the Adidas Terrex Agravic XT GTX Trail Running Shoe. Designed to combat weather of all kinds, the Terrex Agravic XT GTX really stands up against snowy trails with the aggressive waterproofing of the Gore-Tex membrane. The Terrex Agravic’s breathable mesh fabric offers a comfortable feel against the foot, discouraging hot spots and unwanted rubbing, while the sock-like construction keeps snow and debris at bay. The midsole works with the sock-like fit to cradle and support the foot on uneven ground, delivering a responsive, energetic feel underfoot while the Continental™ Rubber outsole delivers premium traction and stability in snowy conditions. When you want to keep the snow on the outside and the comfort on the inside, hit the snowy trail with the Adidas Terrex Agravic XT GTX trail running shoes. 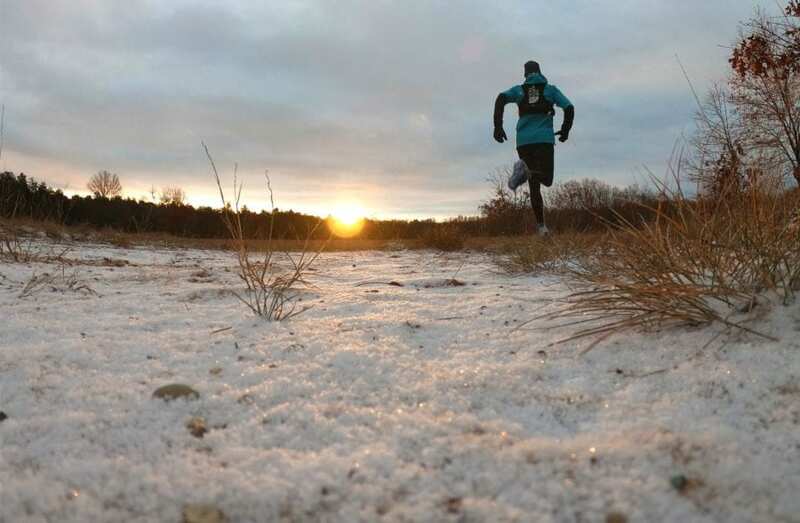 You’re way too dedicated of a runner to let a little thing like cold Winter weather keep you from hitting the trails. 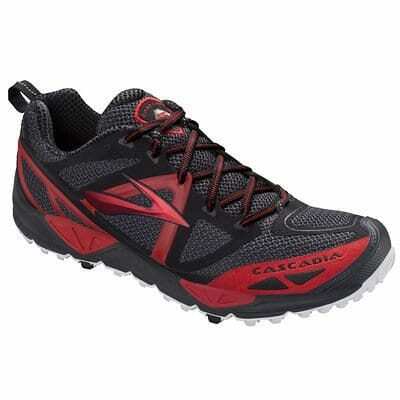 Get out and show the weather who’s boss with the Brooks Cascadia 13 GTX Trail Running Shoe. The Gore-Tex lining keeps the feet dry, warm and comfortable, whether your trekking through freshly fallen snow or breaking through icy puddles. The Cascadia’s breathable mesh upper with abrasion-resistant microfiber and a 3D Rubber Print Mud Guard provides protection from the cold as well as breathability for when the temperatures creep upward. 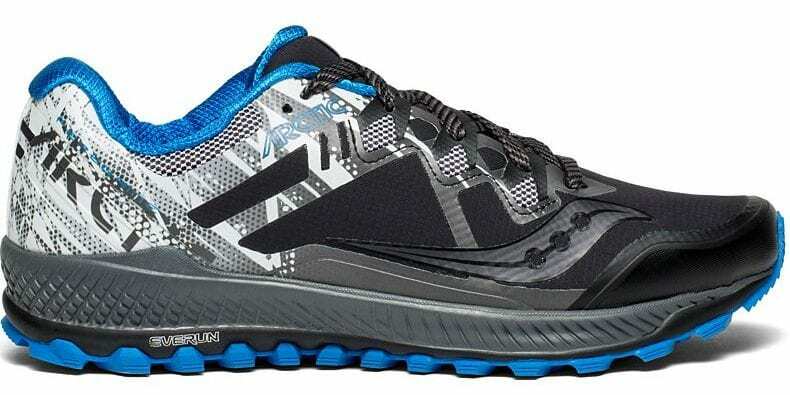 Brooks used just the right mix of traction for a grippy sole that won’t leave you slipping when things get dicey. A rock shield guards the foot from trail debris, while a “SUV-like” stability provides extra control when uneven terrain enters your path. With its well executed details and perfect protection the Brooks Cascadia 13 GTX is a great shoe to keep your feet warm, while stacking up the miles in cold temperatures. Stabilizing Suspension – A Pivot Post system connects to create a stabilizing suspension system. Breathable Upper – The GORE-TEX® version has a waterproof, breathable upper. A lace guard keeps laces secure and out of the way.